“...the notoriously media-wary Petty responds...about his life, career, and craft…” Publishers Weekly Conversations with Tom Petty is the first authorized book to focus solely on the life and work of the man responsible for some of the most memorable rock anthems of our generation, including: American Girl, Breakdown, Dont Come Around Here No More, I Wont Back Down, Free Fallin, Runnin Down a Dream, You Dont Know How It Feels , and many others. 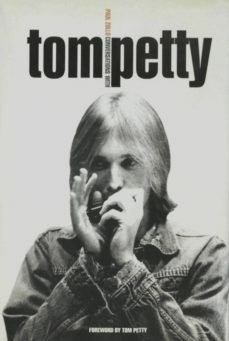 He was inducted into The Rock and Roll Hall of Fame in 2002 and his work with Tom Petty & the Heartbreakers, as well as his solo albums and those with the Traveling Wilburys, have been critically acclaimed the world over and have earned numerous Platinum-status awards from the Recording Industry Association of America (RIAA), as well as Grammys, MTV Awards, a star on the Hollywood Walk of Fame, and many other honours. Author, Paul Zollo, conducted a series of in-depth discussions with Tom about his career, with special focus on his song writing. The conversations are reprinted with little or no editorial comment alongside rare photographs of the legend and represent a unique perspective on Toms entire career.